In spite of Mark O'Brien's best efforts last night, he could not get a fire in the J27 after all, because of problems with boiler water filling. 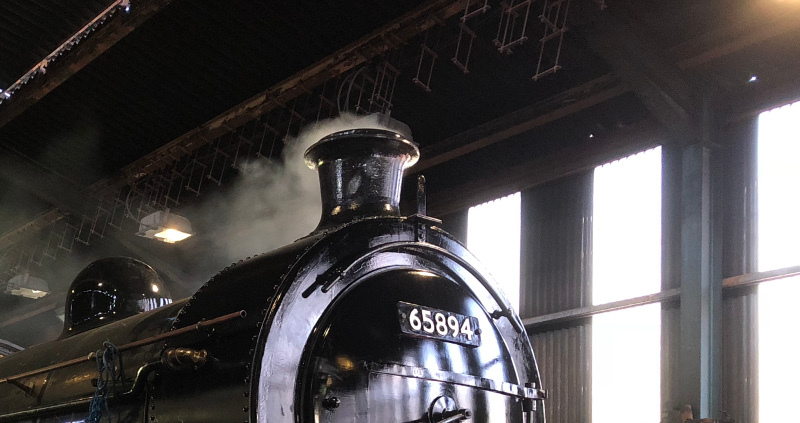 However, those have been overcome today and the locomotive is reported this evening to be sitting in the running shed with a fire in and smoke coming out of the chimney - its own this time rather than in my photo last month of it standing at the coaling plant with 76079 hidden behind! The plan is to give it a full steam test tomorrow, set the safety valves, make sure the injectors work, and find any leaks etc. Further report tomorrow night therefore.